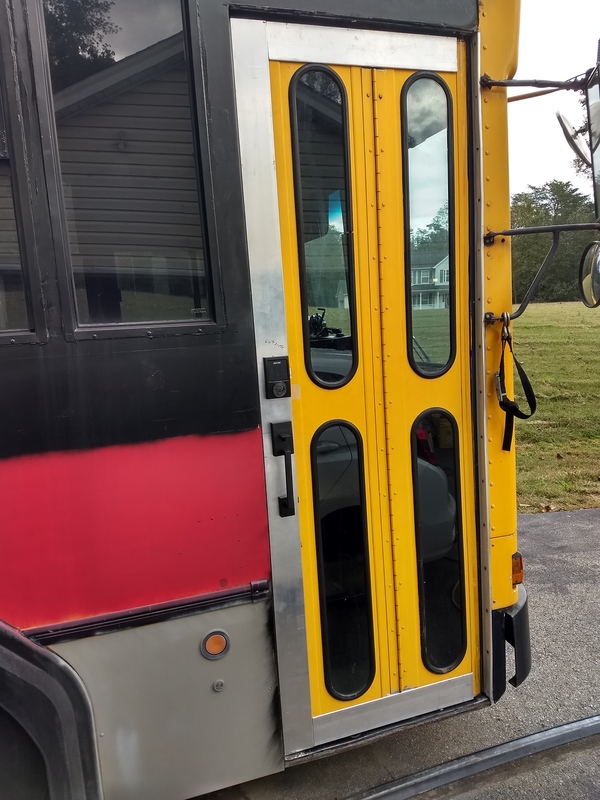 Although the air operated door would have been cool to keep, the fold in mechanism and the big gap at the top and bottom of the door were unacceptable. During my frigid December drive home from CA to MD that door a huge source of cold and drafts. Initially I was thinking about replacing the folding door with a regular exterior house door. 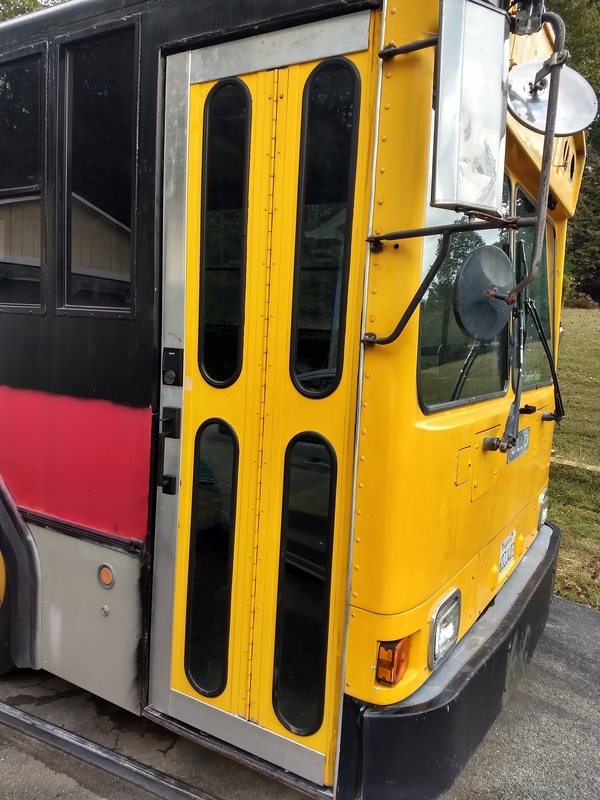 However after taking a closer look at the original bus door I have decided to keep it, eliminate the air and folding features, and convert it to a conventionally opening. 2) Must be able to use conventional house door knobs/locks. The first step is simply to get the door to open and close like a straight door. 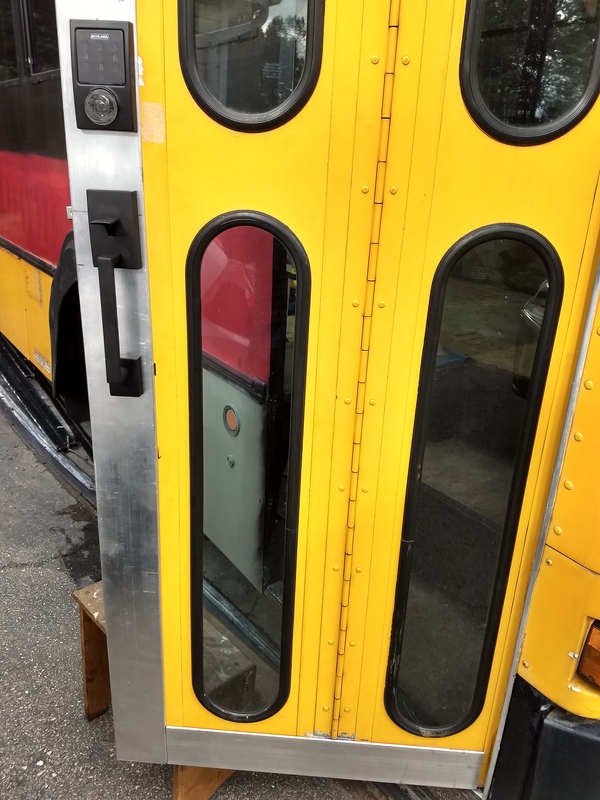 Removing the roller at the top of the right (as seen from the inside) side of the door stops the folding of the door. Once that roller is removed, the door sections will open together but they won't open to a full 90+ degrees. The roller is shown below left. 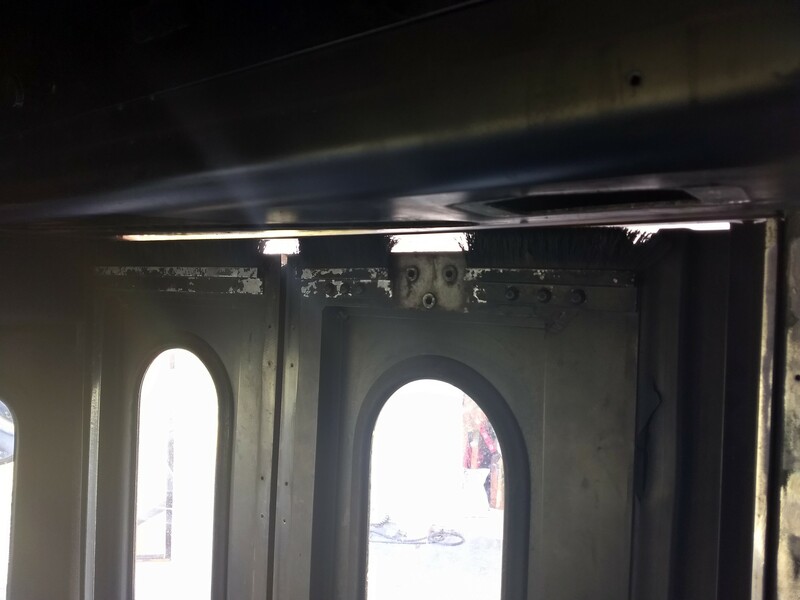 Once that hardware is removed, the door will now swing past 90 degrees. 2) Cleaning up the washer fluid cubby behind the door. Although this is a door rehab thread, I decided to document these efforts here. 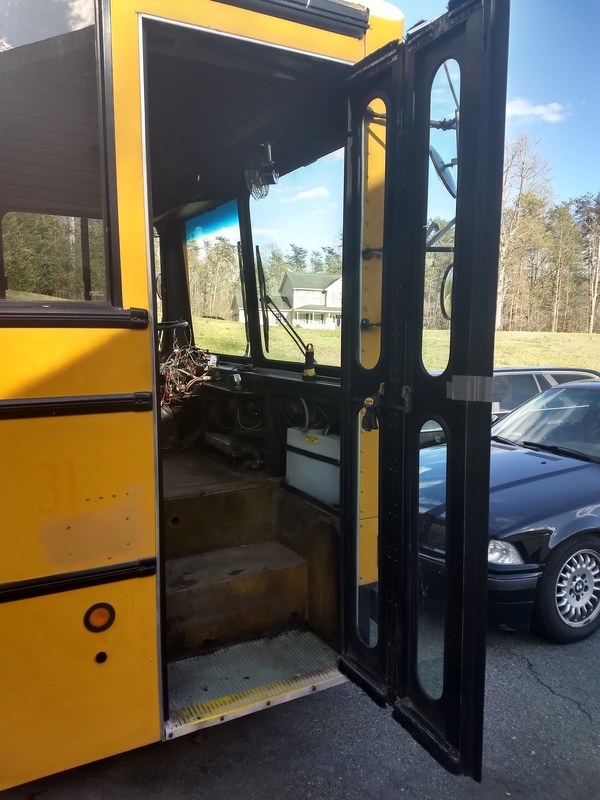 1) As for the entry way stairs, since the below pic was taken I have removed the rubber tread on the bottom step, and test fit some reinforcing at the front. The stairs are aluminum, but under the stairs is a metal support bracket. 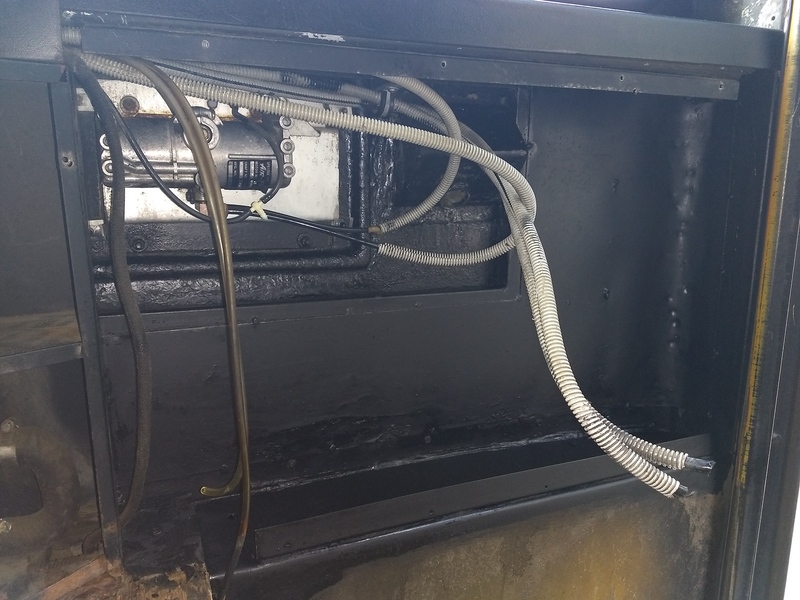 This bracket was badly rusted and needed some help. I snapped this pic this morning as I was headed out the door; I will get some pics from underneath tonight after work. 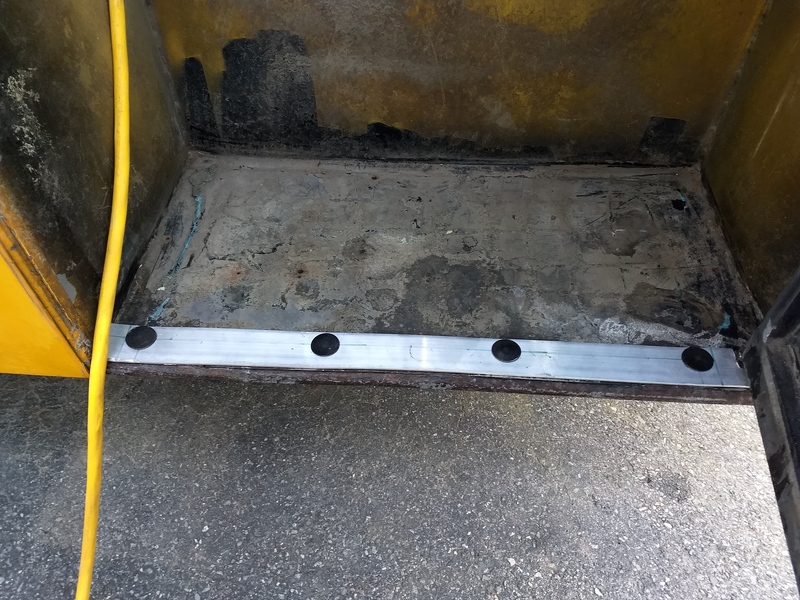 I used a 2.5" wide piece of aluminum on top with a 2" piece of steel angle iron on the bottom for strength. I used 3/8" elevator bolts to tie the pieces together. 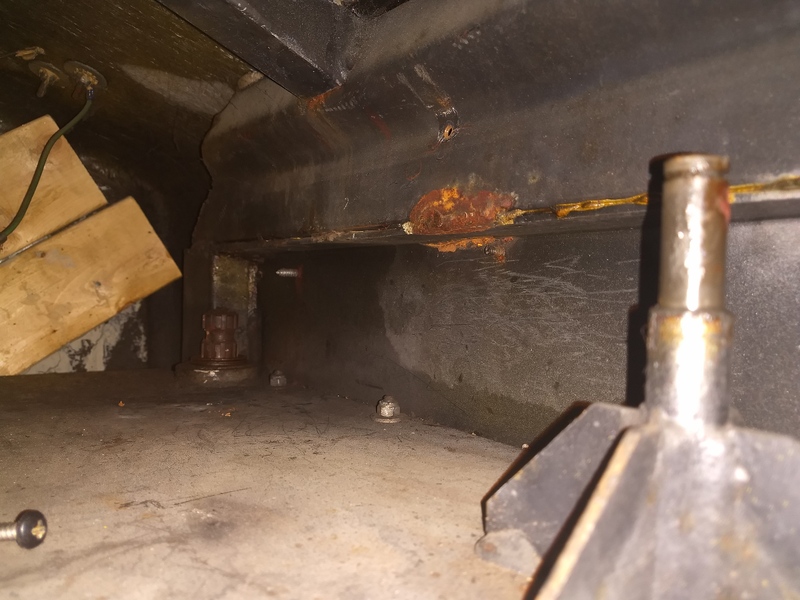 I will be installing a piece of aluminum angle over the elevator bolts to tidy things up, close the bottom gap, and hide the elevator bolts. Behind the aluminum trim I will be building up that bottom step and creating a bottom door jam for the door to seal against. 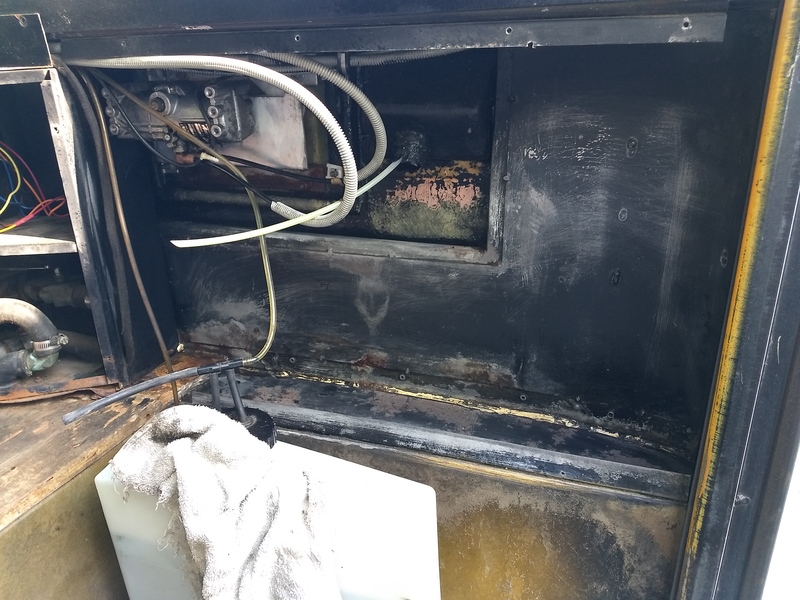 It was actually pretty clean in there. 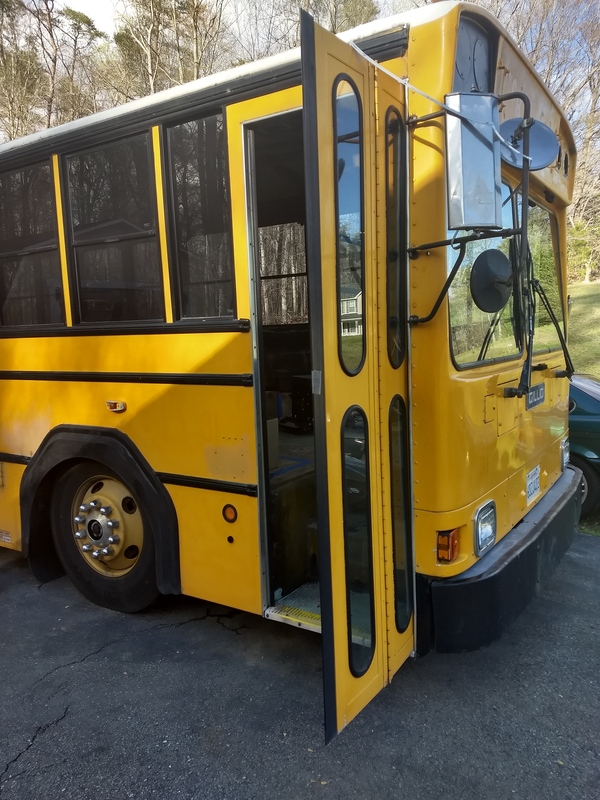 Here is a pic after cleaning and paint prep. And here it is after rust paint; it will still need a top coat. The two cut air lines in the pic used to go up the A-pillar to the door opener. 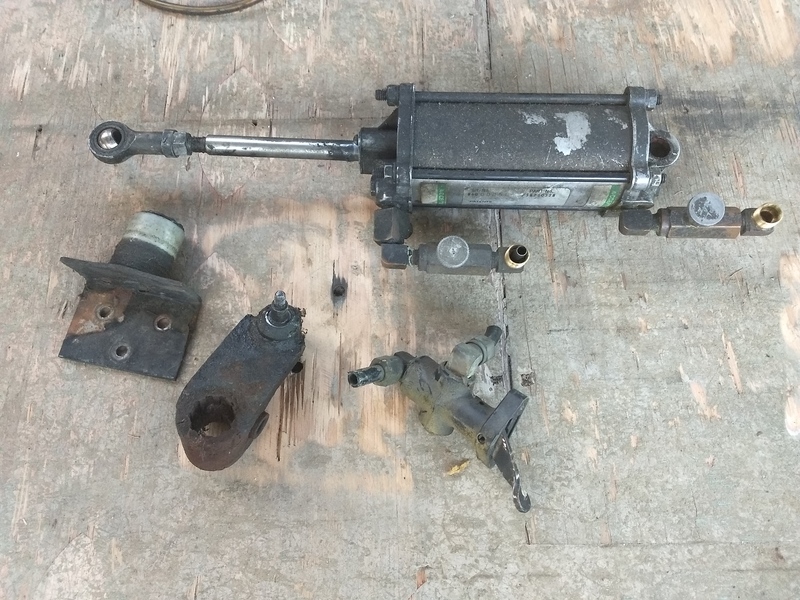 I am considering re-using one of those lines to put an air tool regulator and connector in that space. I considered using a smaller washer fluid reservoir and turning that space into a shelf, but will probably abandon that idea in favor of the air connection. 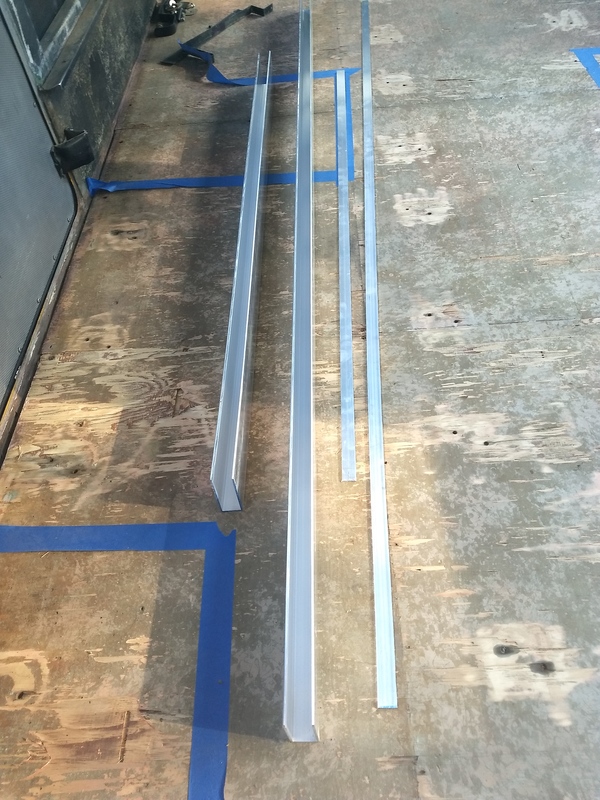 Here are a few of the aluminum pieces I bought to trim out the door. They are 1.5" X 4" rectangular tube (.125" wall thickness). I used a table saw to turn the tube into U-channel (the pieces on the right are scrap). 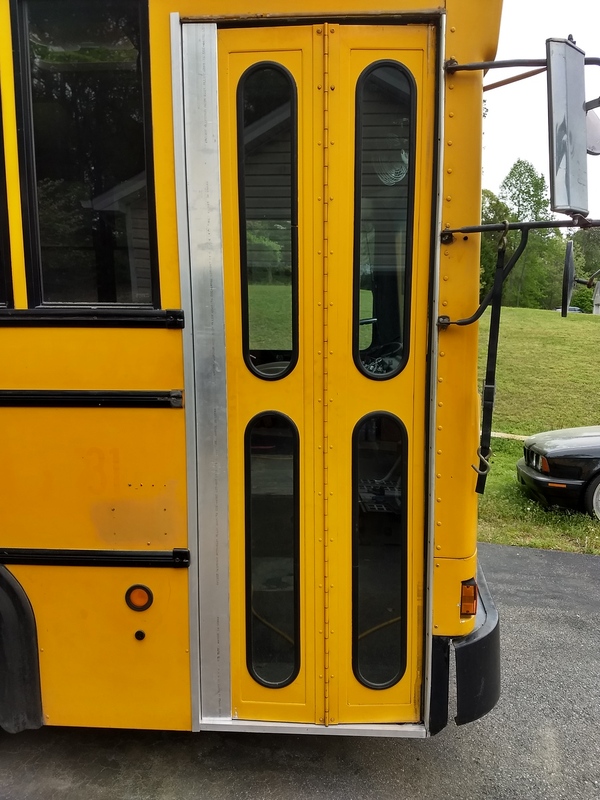 The goal this weekend is to trim these piece to fit over the bus door, closing the gaps around the door and providing a solid place to mount a conventional house door latch and lockset. 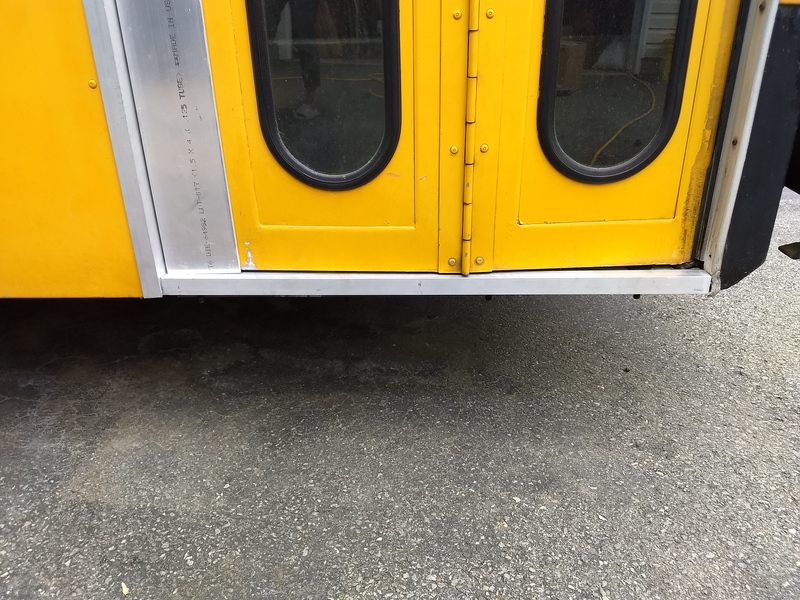 The bus door itself is 1.25" thick so these pieces fit perfectly over the door. 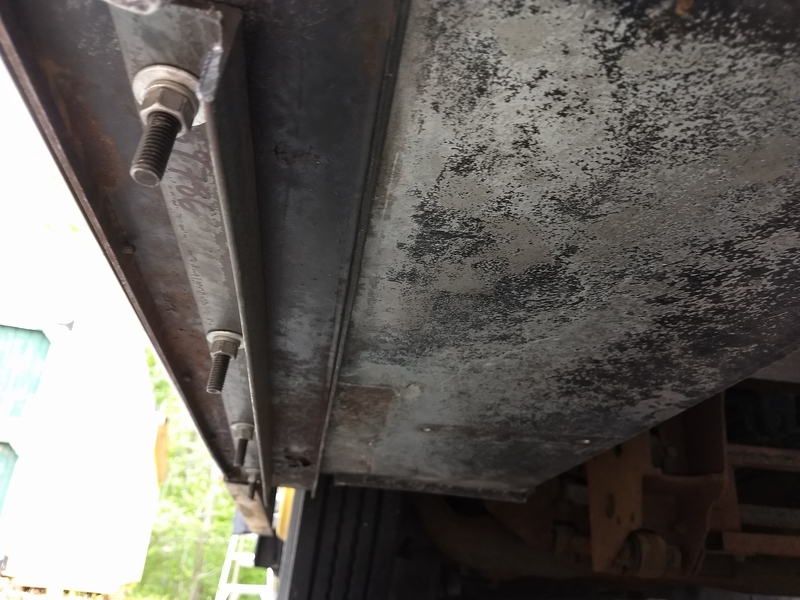 I cut the long piece of channel down to rough length today and did a test fit. It's been a while but I finally did some more work on the door. 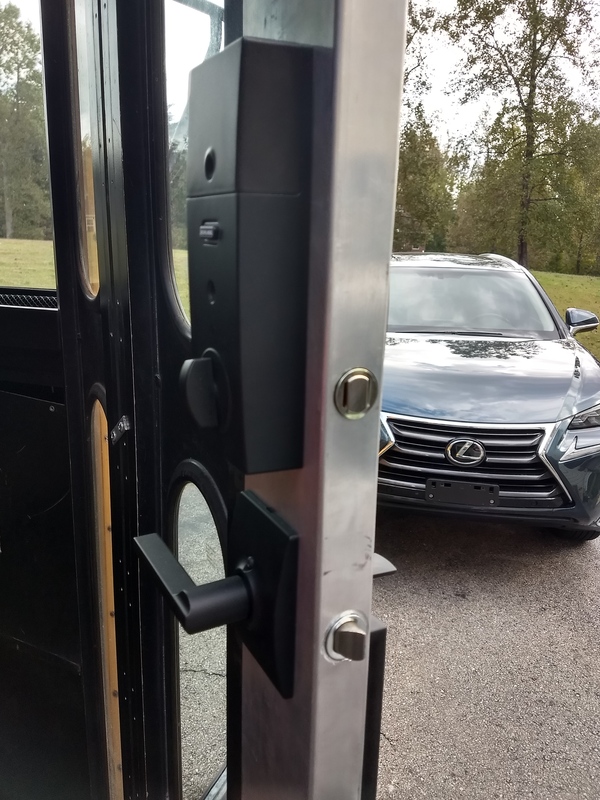 I installed the 1.5X4 inch aluminum channel on the door and installed the locks. 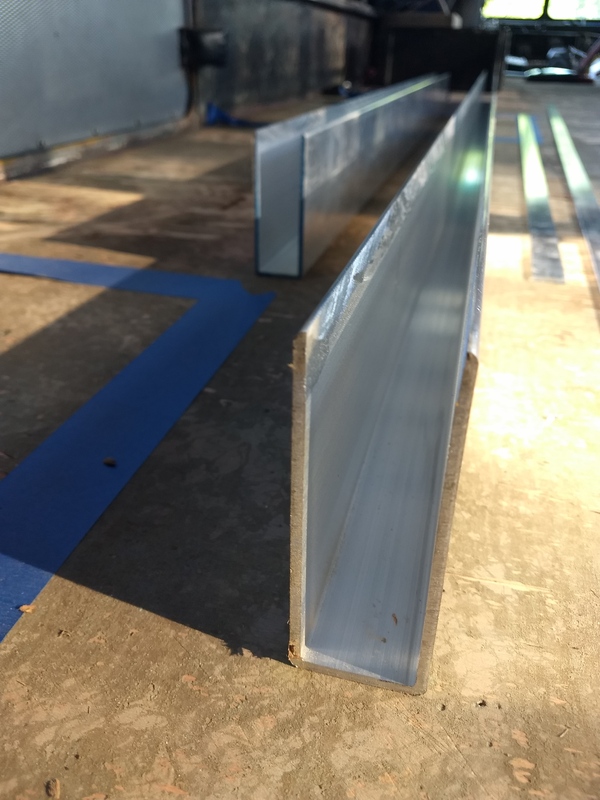 Although the aluminum channel hasn't been "permanently fastened" to the door, the door is fully functional, and feels like the door to a vault. 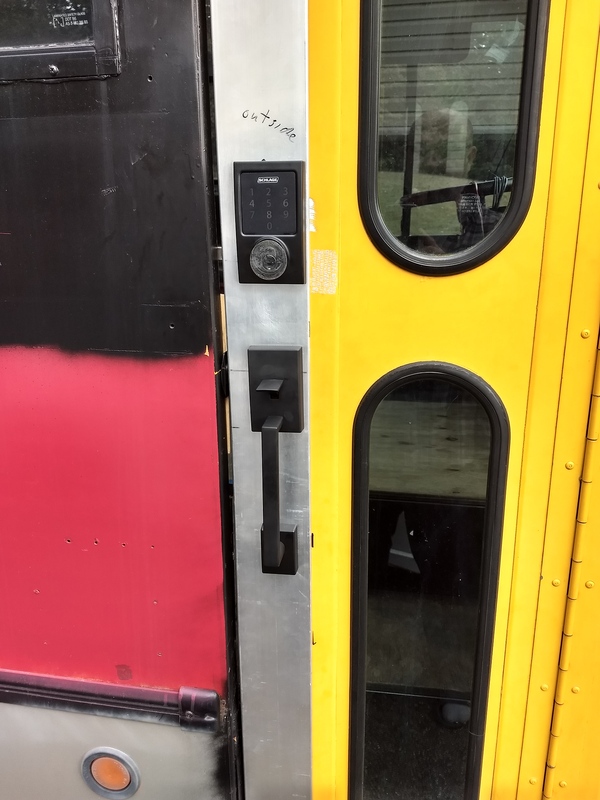 Obviously more to come on the door, like trimming out the door jams, trimming the interior of the door, and painting the exterior. Brilliant solution! Looks good! Original windows retain the visibility needed! 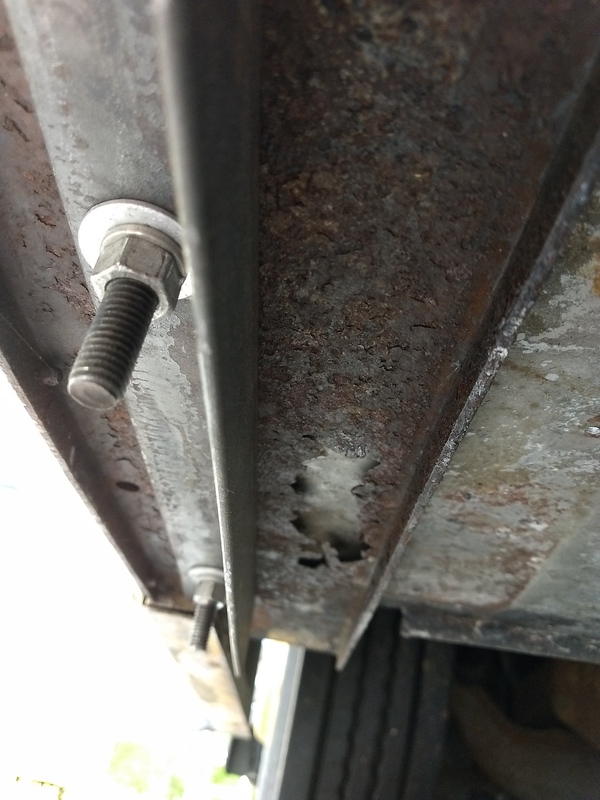 That stuff ain't cheap like steel....cut it right the first time! However, that 1.5 X 4 is the perfect size: it slides right over the existing door and is wide enough to take the lock set. Outstanding, that looks very clean buddy.